John 4:10 - Jesus answered and said unto her, If thou knewest the gift of God, and who it is that saith to thee, Give me to drink; thou wouldest have asked of him, and he would have given thee living water. Food - cereal, popcorn, etc. 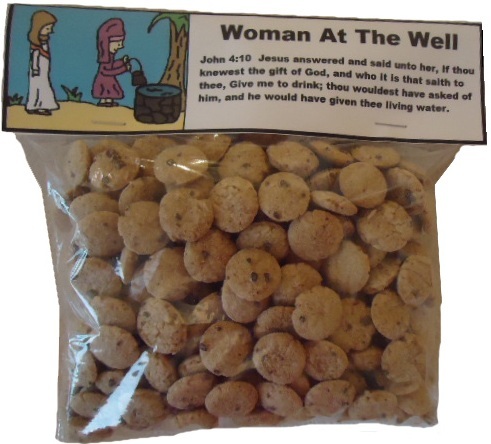 Print the Woman At The Well Ziplock Bag Template out. Cut the template out and laminate if you want. Fill a ziplock bag full with treats for the kids. I usually fill it about half way. Fold the template over the top of the ziplock bag. Staple the right side and left side at the bottom to seal it up. Hand these fun treat bags out for the kids to enjoy. 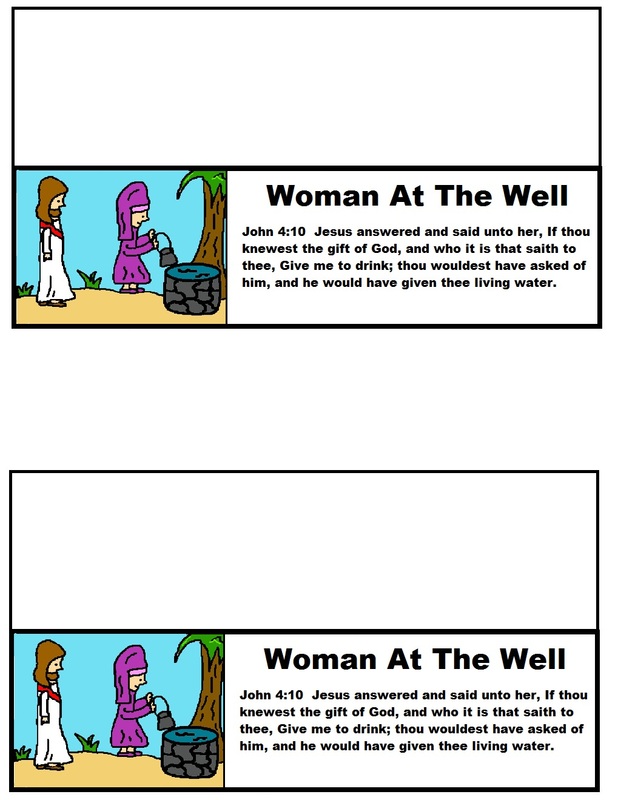 Use this with our Woman At The Well Sunday School Lesson. We have more Sunday school lessons that has really cool and unique Bible recipes to go with them. Check out our Bible clipart or print out one of our fun Bible Puzzles for the kids.